Aston Villa played out a goalless draw against Reading on Saturday and set an embarrassing record in the process. Villa’s stalemate at the Madejski Stadium was their 13th of the season, tying them with Birmingham City for most draws in the Championship. No side have played out more stalemates than Dean Smith’s men. Villa have drawn 43% of their 30 league games, dropping points on 20 occasions in total. The Championship sides with the most draws are Villa (13), Birmingham (13), Nottingham Forest (12), Middlesbrough (11), Stoke City (11) and Rotherham United (11). The Claret and Blues currently sit ninth in the Championship table with 43 points, coming off the back of only one win from their last six. 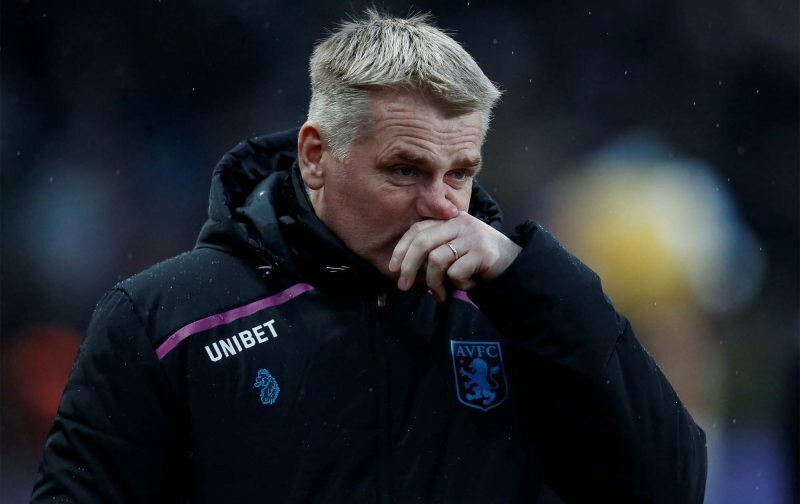 Villa have drawn four games during this period – 1-1 with Preston North End, 2-2 with Queens Park Rangers, 2-2 with Hull City and 0-0 with Reading. Smith side are four points adrift of the playoffs and have lost only two of their last 15 games. If they can turn the draws into wins they’ll be in with a shout of a top-six finish, but a lack of clean sheets has been their undoing.